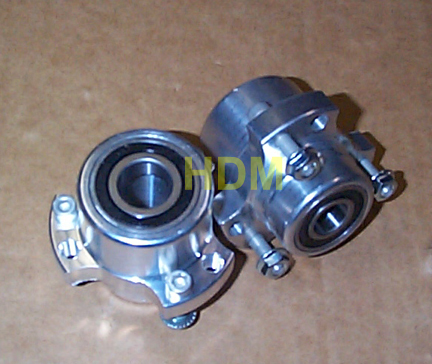 The HDM Front Hub is CNC machined from 6061T6 Aluminum. The dual bearing hub is designed to fit a 5/8" spindle and is supplied with wheel studs and lock nuts installed and ready to race. 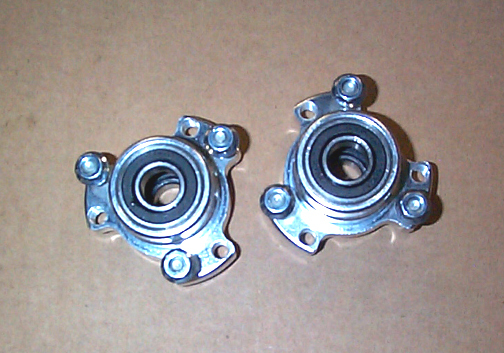 HDM also offers the big bearing front hubs with the 3/4" bearing on the inside and 5/8" on the outer. These are typically found on PRC karts. These hubs are supplied with studs and lock nuts installed and ready to race out of the box.